Everything is in full bloom and I’m almost sure it’s not just because of the recent rain. I’m convinced the Jurassic Park-sized flowers are always in bloom here, flaunting all the colours of the rainbow. It is a world where cars are replaced with golf carts, bicycles, and little ones on tricycles. Somewhere between Neverland and the setting of The Stepford Wives – so perfect. Tarmac changes to brick pathways, winding their way through evergreen golf courses, houses, hotel rooms, restaurants, and entertainment areas. Traffic jams are a long forgotten memory as you take in endless sights of perfectly manicured grass carpets and the Outeniqua Mountain range staring at you from the background. 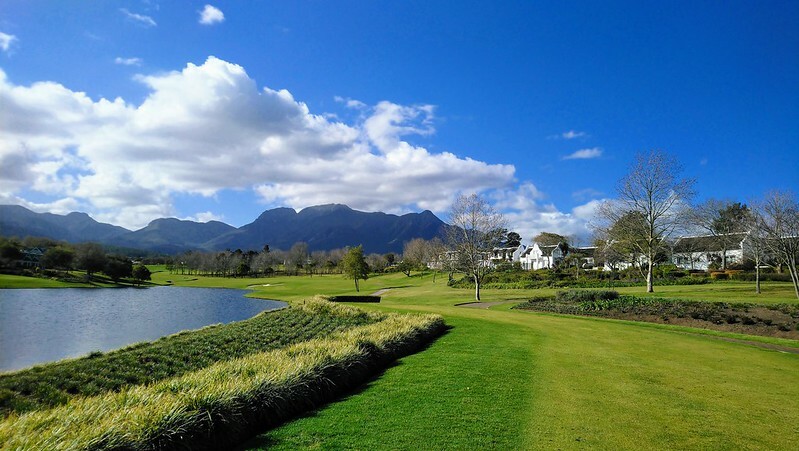 This is Fancourt and it is the perfect basecamp when visiting the Garden Route. It’s a place where heritage and luxury meet family fun – and what a better family holiday than one where you know there is something to do for everyone, without constantly worrying if the kids are safe. The 613-hectare property is cleverly developed and recent upgrades to various facilities mean even more fun for the whole family inside the Fancourt borders. The air is fresh and crisp (when there’s not a fire!) 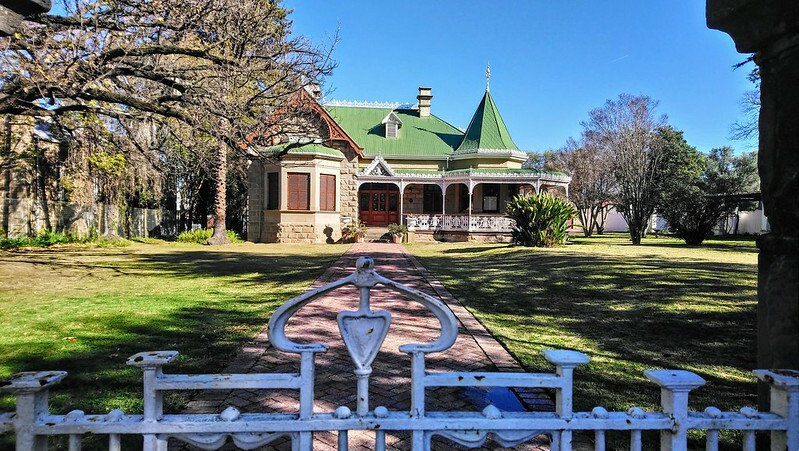 and my early mornings consisted of walks around the estate or taking a bicycle from the leisure centre to discover the nooks and crannies of this luxury property. The sunrise at Fancourt is something I’ll always remember. 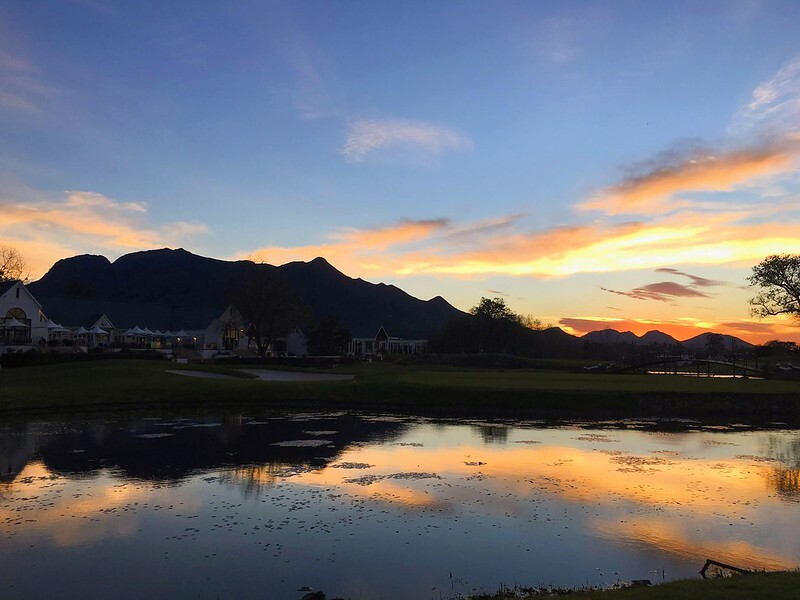 The sun peeks over the Outeniqua Mountains, touches the treetops and then, if you’re paying attention, you suddenly see it: the pink candyfloss clouds’ quick morning dance moves reflecting in the giant ponds dotted around the golf course. Family facilities include tennis courts, a leisure centre with a teen zone and a kids club, an indoor as well as an outdoor swimming pool and jacuzzi, two golf courses, a spa, a big screen cinema and a gym. Other family-friendly activities including fly fishing, running, golf and picnics. Ostrich farms, the Cango Caves, and the Outeniqua Power Van are some of the activities guests can enjoy when they feel an urge to go and explore beyond Fancourt’s gates. One of our day excursions took us via Oudtshoorn for a pit-stop at Smitswinkel Farmstall where we admired the old cars and the variety of classic VW vans and cringed at some of the pin-up girl signboards while a Harley Davidson growled away on Oudtshoorn’s main road. 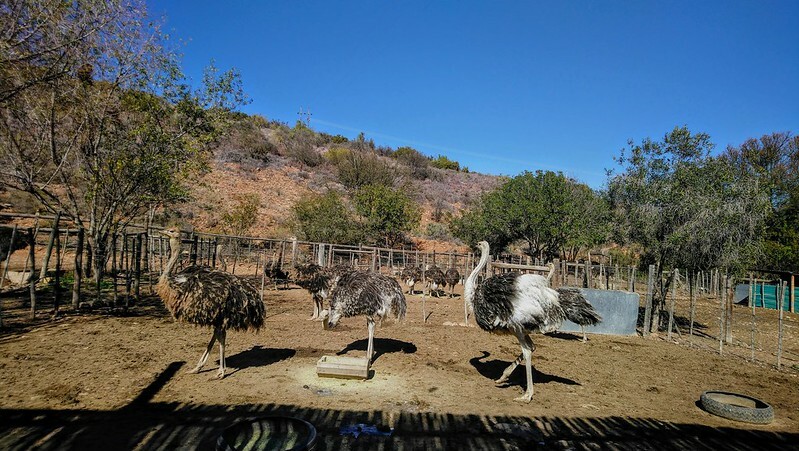 At Cango Ostrich Farm, we learnt all there is to know about the ostrich industry and the feather boom’s lofty feather palaces. 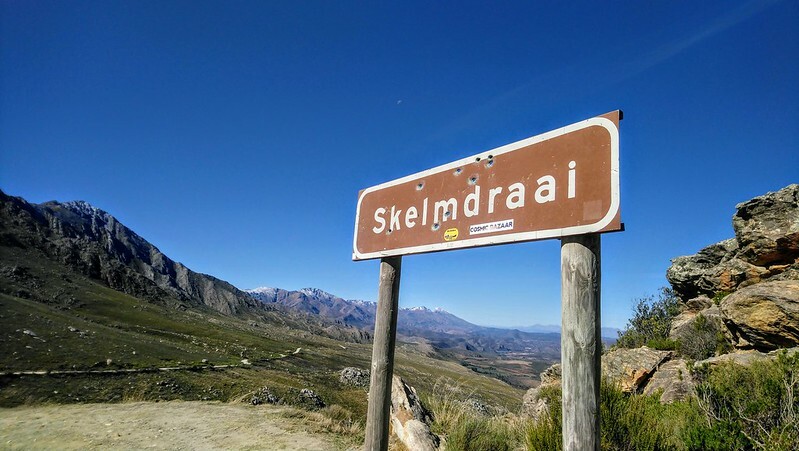 After an olive tasting at Surval Boutique Olive Estate, quite reminiscent of Sicily, we made our way up the Swartberg Pass for a “picnic” at the top. I say “picnic” because it quickly turned into a picnic in the car on our way down because a sudden turn in the wind speed and direction almost blew our minibus off the mountain. No hyperbole here, folks. Other adventurous excursions you can choose from include Cango Caves Zipline, quad biking and Tsitsikamma Canopy Tours, to name a few. Fancourt guests can enquire upon check-in and the staff will assist in finding the perfect activity that suits any family’s needs. On the estate, there are four options to fill the belly and satisfy your thirst. The most family-friendly restaurants being La Cantina (which has a wood-fired pizza oven) and Monet’s with vistas over the golf course, mountains, and tennis courts. Then there is also the elegant Henry White’s which is focussed on fine dining and probably one of my highlights of our trip. The food, wine, and ambience had me captured in a world of my own. A world I was sad to leave. 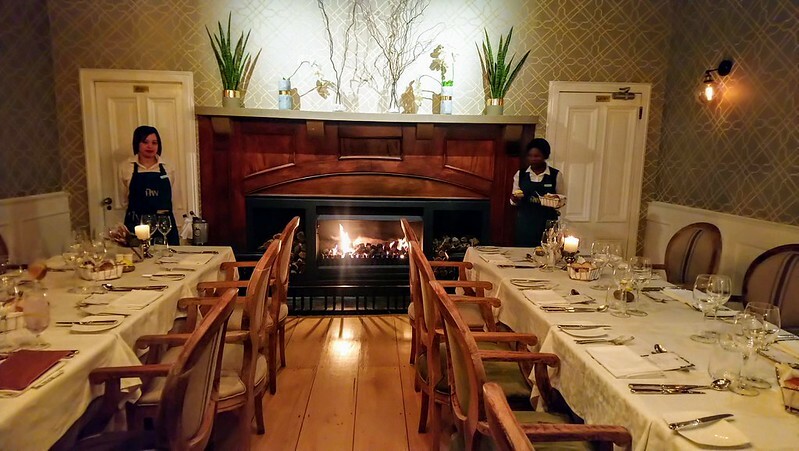 If you feel like venturing out for lunch or dinner for any particular reason, a stone’s throw away from Fancourt is Dis Tyd, a little restaurant with a stoep, perfect for a light lunch, tea time, or even a three-course meal. A little bit further into town, you’ll also find Foobar Cafe and other classic kid-friendly restaurants such as Wimpy and Panarottis. The beauty of Fancourt really is that it’s safe, secure, and family friendly. During summer holidays kids roam about freely on their bicycles, cool down as they splash around in the pools, play tennis, go to the kids club, or join the fun on the golf course. 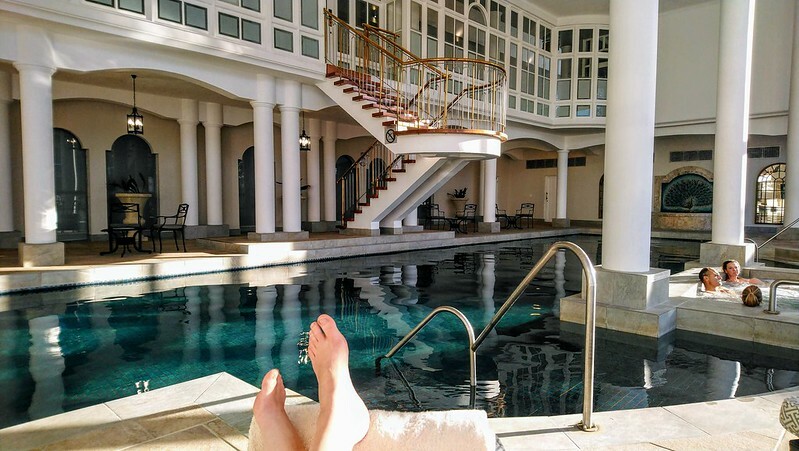 If adults want some “me-time”, they can spend time relaxing in the spa or the indoor Roman Bath or have a full day on the golf course if the kids aren’t interested. Kids will be safe, happy and entertained once signed in at the leisure centre for the day or part thereof. Ilse is a freelance writer and editor (@WordUp) with a passion for people and their stories and experiencing different cultures and places as she travels. She believes each person's story is powerful and important as stories shape us and have the power to change us. She has lived in Johannesburg, Cape Town, and Varese in the lake district of Italy and has ticked off 15 countries, with still a very long bucket list to go. She is a lover of adventure, coffee, wine, and ice cream. If she is not travelling or road tripping, she is probably writing, reading, hiking, testing a new car or surfing. Follow her on Twitter (@ilse_vdberg) and Instagram (@WordUp).